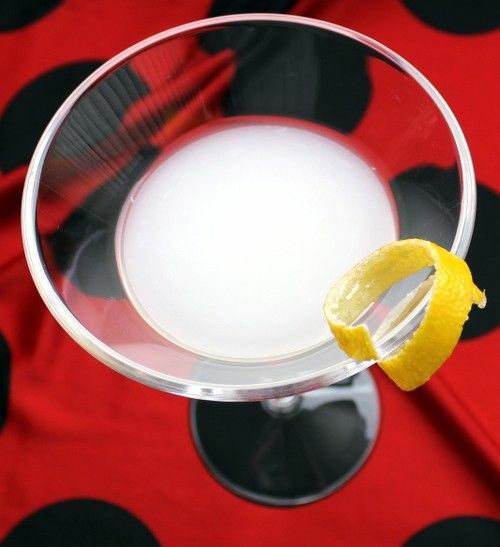 The Bikini Cocktail blends rum and vodka with a touch of milk, a little bit of sugar and some lemon juice. The dominant flavor is something like a lemon cream candy. It’s one of those flavors that’s simple and agreeable. It’s lightly sweet, lightly tart, lightly creamy… nothing overwhelming or challenging to the taste buds. Fill a cocktail shaker with ice and add the rum, vodka, milk, sugar, and lemon juice. Shake well, and strain the mixture into a cocktail glass. Garnish with a lemon twist.